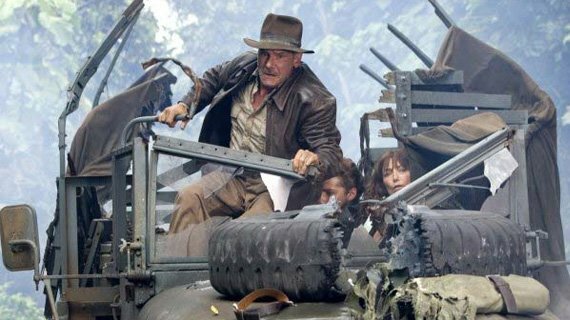 Harrison Ford Trains & Improves For Role As Indiana Jones! At 65-years young, Harrison Ford has decided to reprise his famous role and prepare to do his own stunts! 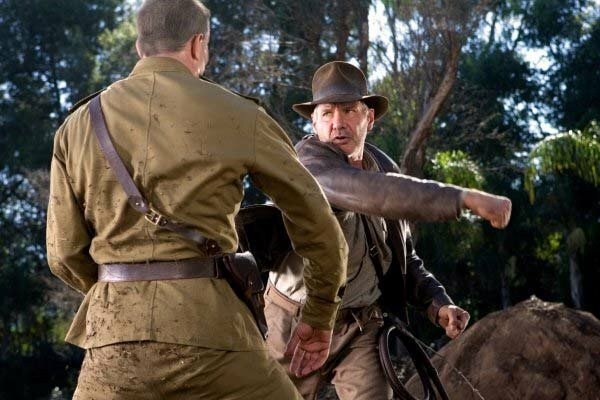 Here's a training routine that could give him the Indiana Jones edge. Bruce Willis was 52 when he played John McClain in Live Free or Die Hard. Arnold Schwarzenegger was 56 when Terminator III: Rise of the Machines came out. Sylvester Stallone was 62 when he filmed his last action movie, Rambo IV. The trend of older Hollywood stuntmen has no end in sight; and for good reason. Each of these men has been able to pull off incredible stunts and twisted plots despite their advancing age, or maybe it's BECAUSE of their advancing age. There's something to be said for exercise in regards to keeping people young, and Harrison Ford is no exception. At 65-years young, Mr. Ford has decided to reprise his famous role as the whip-toting, Irish-Russian-Jewish, timid archaeologist by day/crazy adventurer by night, Indiana Jones. 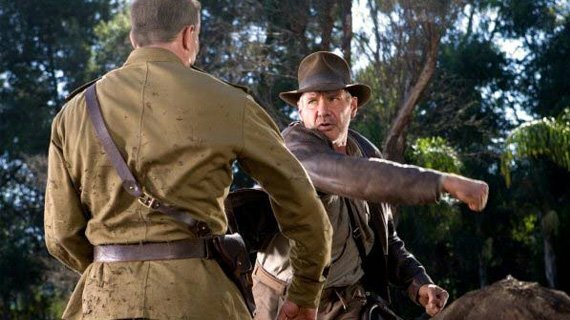 When the idea of the film was first pitched to him, Harrison Ford told Steven Spielberg and George Lucas that he WOULD BE performing his own stunts. You think that's intense? He is quoted as saying, "I feel fit to continue and bring the same physical action." - The same physical action!? 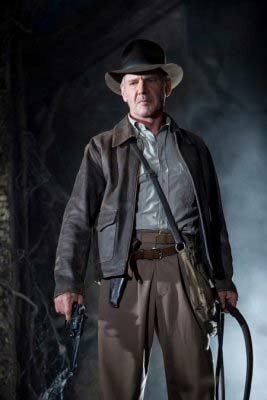 He was 18-years younger when the last Indiana Jones movie (The Last Crusade) came out. But if anyone can pull it off Harrison Ford can. Here is a hypothetical account of what Harrison Ford might have done to get ready for his role in this box-office hit. Protein. We all know what it is (an essential macronutrient). We all know what is does (build muscle). We all know how important it is (the most). That's pretty much all there is to it. The staple of any "Weight-loss/Get in shape" diet should be protein. It will help provide the energy you need to work out, and it helps you keep the muscle you worked so hard to put on by training hard and eating right. Harrison Ford is making protein the most important component of his diet. With that said, it's no wonder Harrison Ford is making protein the most important component of his diet. His girlfriend, actress Calista Flockhart, says, "He's on a strict high-protein diet. He's eating lots of fish and vegetables. It's hard but he's already looking great for it. He wants to make sure Indy is as tough as he always was." If you don't have time for "real food", or you have digestive issues eating whole foods first thing in the morning or late in the evening, protein powders are great choices. They're also excellent to take after a workout because whey protein gets to the muscles (in order to rebuild and repair them) faster than any other type of protein. However, not all seniors can pull off a diet like this. One thing the older population should be concerned about is kidney/renal function. A high protein diet combined with strenuous exercise can put undue stress on your kidneys. 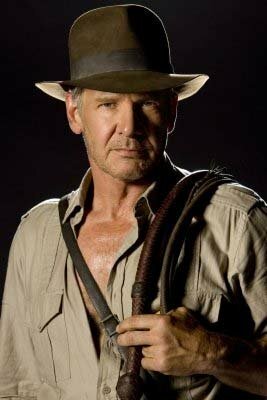 So although Harrison Ford ate a high protein diet, it would be better (and safer) for the majority of the population to eat a balanced diet that consists of moderate amounts of lean protein, moderate amounts of complex, starchy carbs, and moderate amounts of healthy, essential fats. 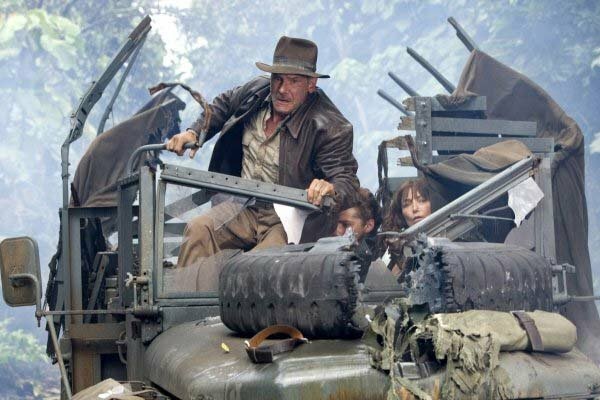 According to the Internet Movie Database, Mr. Ford was adamant about being able to wield Indiana's famous whip. Bosses wanted the weapon to be computer generated because of new film safety rules, but the actor branded the rule "ridiculous." Clearly, Indiana Jones is "In it to win it." Ever the modest guy, Harrison said that "Getting in shape for the role was no problem." (I hate people like that.) Granted he still needed to get into PEAK physical shape for the role, but I believe he had a solid foundation on which to build. 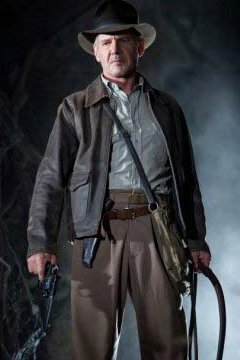 At movie premiers of "Indiana Jones and the Kingdom of the Crystal Skull," critics and spectators alike have claimed that Ford looks incredibly trim and muscular months after the shoot ended. So clearly, he implemented a training routine that was easy for him to maintain. We're not talking about 7 days per week, twice per day. Perhaps something more manageable like 5-6 days per week, one per day. He would also have included mobility and agility training in order to perform the stunts fluidly and with as little risk of injury as possible. Avoiding Vulnerable Positions - Use a spotter, don't make any awkward/sudden movements, always be cautious. Increasing Flexibility - Warm up with some cardio/dynamic stretching, stretch between exercises if you need it, cool-down with cardio. Increasing Strength - Gradually increase the weight you use. Including Plyometric Exercises In Training - To strengthen the bones, joints and tendons as well as the muscle. This is a great cardio + strength workout. Increasing Proprioception - Increase awareness of your body parts and Mind-muscle connection. Perform each exercise for 20 reps in a circuit style. Do a total of 2 - 3 circuits. Perform each exercise for 1 minute. Rest 1-2 minutes before moving on to the next exercise. Hold each stretch for 30 seconds. Stretch each body part twice. Calcium, Vitamin D and Vitamin C top my list of important supplements for the older population. As we age, these supplements become even more important because our body just does not recover the way it used to. Calcium and vitamin D are just a few that can support a healthy lifestyle as we age. Vitamin C is useful in fighting free radical damage. Free radicals are the species that are produced when we work out. They're helpful for recovery after resistance training, but too many of them can be harmful. Antioxidants like Vitamins C and E help fight off free radical damage. You can also use protein powder, iron and glutamine if you chose. They are all helpful in the recovery process for your muscle and blood. In conclusion, although Harrison Ford is a superstar and a super stuntman, having a body like him isn't unreasonable. Just follow the guidelines, and you too can be fit in your 50s (or 60s, or 70s)!